At 360ict we offer our clients full Managed IT Support and have had several instances recently with regard to the ever increasing and evolving problems of RANSOMWARE. You may discover the problem only when you attempt to open one of these files. 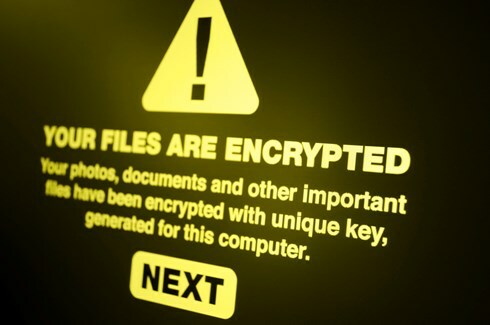 UK Government & Private partners are working with businesses and organsiations affected by the ransomware, including the most prevalent known as 'WannaCry'. WannaCry is a type of malicious software known as ransomware. Ransomware makes your data or systems unusable until the victim makes a payment. There are three main things you should do to protect yourself. WannaCry only affects computers running Microsoft Windows operating systems that don't have the latest security patches installed. If you are using a recent version of Windows (Windows 7, Windows 8, Windows 8.1 or Windows 10) and have automatic updates turned on, you should already be protected automatically against WannaCry. If you are using a currently supported version (Windows 7, Windows 8, Windows 8.1 or Windows 10), run Windows Update and apply any updates. If you are using Windows XP, Windows Vista or older versions of Windows, download the WannaCry security update from here and install it. Note: 360ict strongly recommend that you do not continue to use unsupported operating systems, but instead upgrade to one which receives regular security updates from the vendor. Make sure your antivirus product is turned on and up to date. Windows has a built in malware protection tool (Microsoft Defender) which is suitable for this purpose. Run a full scan to make sure your computer is currently free of all known malware. Regularly create a backup copy of your important files (such as photos, documents, and other files that can't be replaced). If you have backups of files that you can recover, you can't be blackmailed. Make sure that this copy is kept separate from your computer. If it's on a USB stick, or a hard drive, or on any type of removable media, do not leave it connected (or anywhere on your network) or it may also be attacked by ransomware. You should consider using cloud services to back up your files. Many cloud service providers (for example, email providers) offer an amount of cloud storage space for free. Immediately disconnect you computer, laptop or tablet from network. Turn off your Wi-Fi. Safely format or replace your disk drives. Whilst you're still disconnected from your network, directly connect this computer to the Internet. Install and update the operating system and all other software. Install, update, and run antivirus software. Monitor network traffic and/or run antivirus scans to identify if any infection remains. Files encrypted by the WannaCry attack have no way of being decrypted by anyone other than the attacker. Don't waste your time or money on services that are promising to do it. There is no guarantee that you will get access to your data. Your computer will still be infected unless you complete extensive clean-up activities. You will be paying criminal groups.